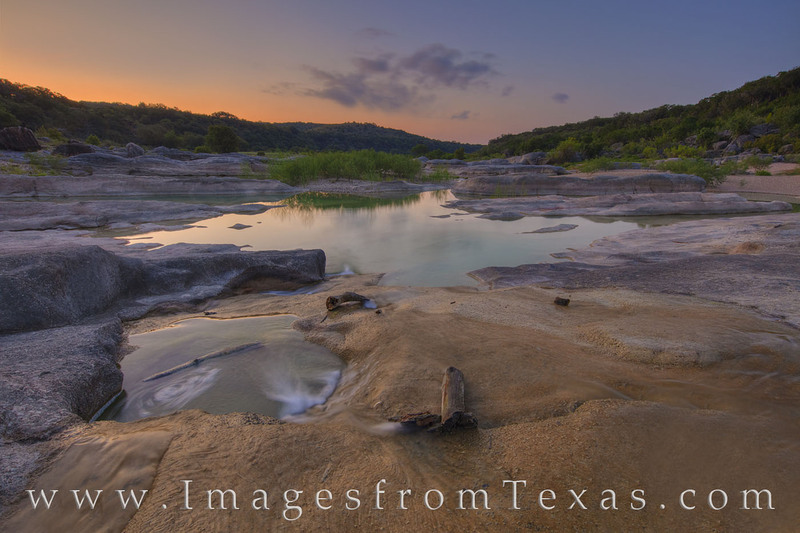 On a quiet August morning along the Pedernales River, low clouds drift by about 20 minutes before sunrise. The water was low - this area hasn’t seen rain in quit a while, but there is still some flow over the limestone rocks. This view of the Falls faces southeast and shows the sky as an orange glow permeates the horizon, harkening the beginning of a new day. Photo © copyright by Rob Greebon.